/ Ep 73: Fit Armadillo Turns 5 This Week! 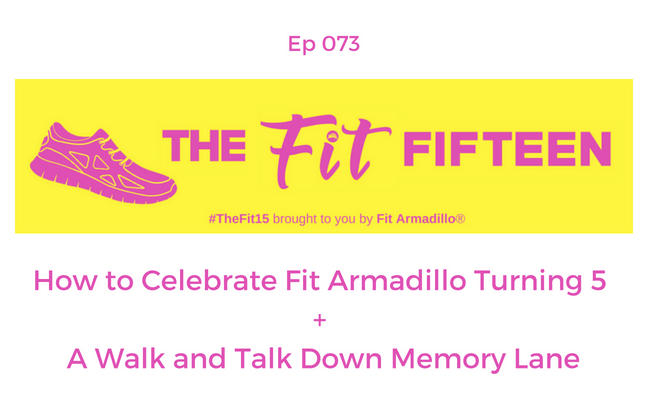 Ep 73: Fit Armadillo Turns 5 This Week! Fit Armadillo, the show's sponsor and your host's fitness company is turning five years old! Learn about the celebration while you walk with the company's female founder and she talks you through some of the highlights of the past 5 yrs.